AVID, Advancement Via Individual Determination, was created by a teacher who recognized a need to change the way teachers approach the student body to prepare them for four-year college entry. A key part of the AVID system that our visual learners would benefit from, is the strategies used to develop organizational skills and promote academic self-management. Cornell notes- a visual method of note taking that is recommended for visual kids. 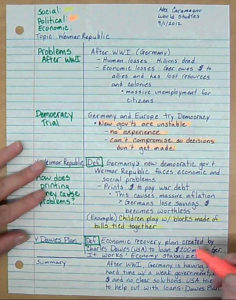 Cornell note taking involves dividing a piece of paper into 3 sections; one for taking notes in class, one for reviewing the notes and recording key words and ideas. The last section is for summarizing what was taught. Binder system- AVID students carry one large binder, with sections for each subject. 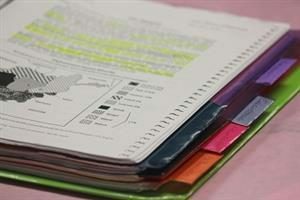 Help your child get their school papers organized at home with colored dividers and stickers. 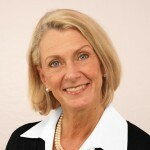 Project management- As the kids get older, the projects and homework gets bigger. Learning to break large projects into smaller chunks and manage the timeline for these chunks is essential. 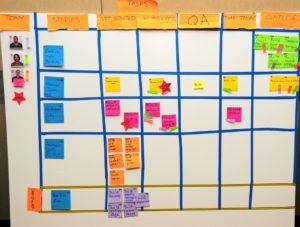 Whether by using chart on a dry erase board or writing chunks of the project on post it notes for easy rearrangement, help your visual learner get a handle on the pieces of their project. Socratic Conversations- This sharing technique is an awesome way to get your kids using their critical thinking skills and an amazing method for teaching speaking and listening skills. Help your visual learner express their ideas about everything by asking Socratic questions when talking to them about school and life. By implementing these strategies at home we are giving our visual learners the tools they need to create success for themselves in school. I love the project management ideas. Which one are you going to start with in your home? Let me know in the comments below.